Do you feel reluctant about getting a new car because you’ve heard about how Applying for an Auto Loan after Bankruptcy can be such an uphill struggle? Truth is, you can actually get a decent Auto Loan from legal creditors. All you need to know is the correct procedure for Financing a car after bankruptcy. Car dealerships expect you to pay a huge down payment to secure an auto loan. 1. Can I get a car loan after Chapter 7? 2. Can I get a car loan after Chapter 13? 3. Can you still get a car loan while under a Chapter 13? 4. How long does Chapter 13 stay on your credit report? 5. Is it better to apply for an auto loan or lease a car after bankruptcy? 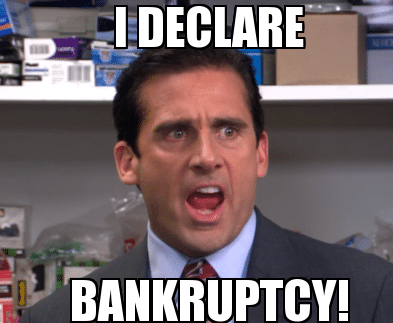 Chapter 7 Bankruptcy sticks on your credit report for 10 years. However, you can redeem your credit ratings by applying for secured credit cards and borrowing small bank loans. As long as you pay up these new debts on time, your credit points increase after 90 days. Financial experts advise people who’ve just come out of bankruptcy to wait for a period of two years in order to apply for car loans. If you consistently borrow and pay up small amounts of secured credit, you’ll have a better credit score that enables you to get affordable interest rates. If you filed for Chapter 13 bankruptcy, then you cannot apply for a car loan until the court discharges you. So, the sooner you clear your previous debts, the better your chances for getting a car loan. You’ll also need an attorney who will file a motion in court to allow you to apply for a car loan. Your attorney checks whether you’ve fulfilled the required set of requirements such as full payment of outstanding payments and improvement in monthly income. Just like Chapter 7 bankruptcy, it’s advisable to build up your credit score for two years in order to get a good interest rate on your car loan. The law forbids debtors under Chapter 13 to apply for car loans due to several reasons. First, the law considers overdue child support payments, mortgages, student loans, and taxes as priorities over car loans. Getting a car loan in this situation introduces a large liability that’s totally unnecessary because the debtor can use public transport. Second, your income should improve by a really huge margin in order to convince the court that you’re worthy of a car loan. Otherwise, one might end up filing for a subsequent bankruptcy if the auto loan installments are beyond his or her net income. In order to qualify, the court analyzes your net income because you need a debt-to-income ratio of 43%. It can take 7-10 years for the Chapter 13 bankruptcy to disappear from your credit report. The good news is that each year lessens this negative effect on your credit score. That’s why financial experts recommend waiting for two years before Applying for an Auto Loan after Bankruptcy. Financial experts recommend Applying for an Auto Loan after bankruptcy because paying monthly installments directly improves your credit score. Any improvement in your credit score enables you to get lower interest rates for future credit cards, bank loans, and mortgages. On the other hand, a lease doesn’t offer the credit score improvements you need because it’s not considered as a secured debt. Why? Because the car still belongs to the dealership during and after the lease agreement. Car lease payments are also very expensive compared to bad credit auto loan installments because leases usually favor people with huge net incomes. Car dealerships expect you to pay a huge down payment to secure an auto loan. It could get as high as 40-50%. So, in order to avoid disappointments, create a savings plan with a definite amount and deadline. Do you have electronics occupying space in your bedroom or garage that you no longer use? Take pictures of these items and sell them on eBay or your Facebook profile. Make sure you open a fixed savings account to discourage any temptations. Are you planning to trade in your car? Take time to gather information from local car dealerships that allow trade-ins. Find out how long it takes and if there are any fees you’ll pay. You’ll need to use a car loan calculator to determine your monthly installments at various interest rates. Nine out of ten creditors require cosigners when offering car loans to individuals who’ve received discharges from bankruptcy. A cosigner needs to have an excellent credit score. Car dealerships request for proof of income. In order to get all paperwork on time, make sure you start looking for cosigners soon. You’ll have to make several visits to relatives and friends in order to get a cosigner. Some people fear to take on such a huge financial responsibility on short notice. Right now, you just need a decent car that will get you and your family to important destinations on time. Purchasing a car that’s within the $20,000 dollar range is a good idea because you can save up a 50% deposit within 12 months. In addition, modest cars have a low fuel consumption rate. Buying a car within this range also enables you to pay cheap auto insurance quotes. Financial experts recommend this strategy because you’ll have enough net income for other needs. Applying for an Auto Loan after Bankruptcy is one of the fastest ways to improve your credit scores. It also enables you to enjoy convenient transport within your means. Good credit scores enable you to buy better cars in the future at better interest rates.